The most successful businesses usually have trade secrets. McDonald’s has its secret sauce. Google has its mysterious algorithm for returning search results. Coke has its special blend for its sodas. A lot of trade secrets revolve around some secret recipe or bit of technology, but not all of them do. Some can be as simple as how a business handles certain customer service matters. The information has to actually be secret or confidential. The information has to be valued by virtue of it being confidential. The information has to be subject to reasonable protection by the owner. In other words, the business must be taking steps to keep it secret or confidential. Arizona has long had a law governing the protection of trade secrets, known as the Uniform Trade Secrets Act, which was enacted in 1990. The law is built around a uniform trade secret law that is used by many other states, but it has been adapted and is unique to the state of Arizona. Last year, the federal government also passed the Defend Trade Secrets Act, which requires new provisions for employers to provide maximum protections in their contracts. This new law also provides for an ex parte seizure right. “Ex parte” means that you don’t have to tell the other side, and the seizure right means that you can get a judge to grant you the right to seize information or property to protect a trade secret. That could include files or computers that contain trade secret information, for example. Typically, the ex parte seizure right is granted if a temporary restraining order cannot be granted fast enough to protect the information or if the defendant is not likely to comply with such a restraining order. The ex parte seizure right can also be granted if the defendant allegedly took a trade secret and is likely to hide or destroy that information. An ex parte seizure order is not easy to get, and we caution our clients about pursuing it if it is not absolutely necessary. The reason is that the court can award damages to you if it is found that trade secret information was taken, but the court can also award damages to the other party if it finds that you overreached with requesting the seizure. 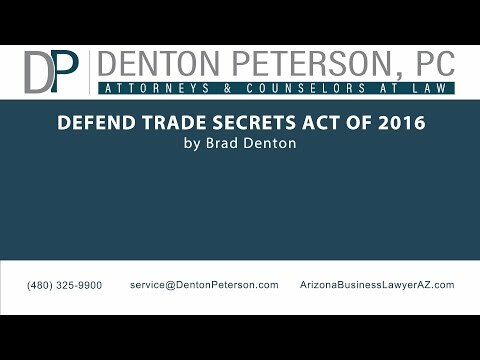 The Defend Trade Secrets Act of 2016 provides valuable new tools for businesses, but it does not preempt Arizona state law or common law causes of action, contractual causes of action, or statutory causes of action. It is essential that you work with an AZ business lawyer who understands all the trade secrets laws on the books, how they interact with each other, and how they each apply to the circumstances of your case. 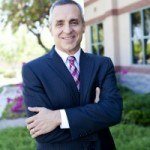 A Phoenix business lawyer from Denton Peterson PC has the experience and the knowledge to help you understand the right course of action for litigating your trade secrets claims. Our attorneys know which orders to pursue and what evidence to present to get the outcome you desire. These cases require a delicate balance, and our attorneys know how to proceed because they have litigated many of these cases over the years. The attorneys at Denton Peterson PC will fight tirelessly for your rights. They will pursue every legal strategy to defend your trade secrets and to get the compensation you deserve when someone steals those secrets and threatens your business’ future success. Contact our firm today in Arizona to talk with a trade secrets lawyer and learn more about your legal rights.